Animoto Review – a fun and stylish way to make online videos. So easy! Photoshop Review – a nice review of Adobe Photoshop and why you need it! I also have a complete list of the best coupon codes for photo editing software. For more information about my post-processing “process”, please check out one of my tutorials. FREE HDR Tutorial – a completely FREE step-by-step guide to HDR (High Dynamic Range) photography. Beginning Photography Tutorial – We begin by throwing away the camera manual and then I’ll gently guide you in the ways of photography. These lessons are aimed at beginners, and are perfect for all ages and all camera types from big DSLRs to mirrorless to mobile phones. I’ll show you how not to be afraid of your camera and how to use it to do your own creative bidding in areas from landscape photography to astrophotography via the likes of portrait photography, an introduction to HDR and much more. Drone Photography & Videography Tutorial – a full 6 lesson tutorial, I will show you how to make the most of the aerial photos and videos you capture. I start with the basics and move onto photo and video editing specificaly for Drone footage! 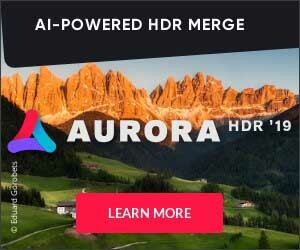 Aurora HDR 2018 Video Tutorial (Mac and Windows) – I show how I use Aurora HDR in practically every situation! From outdoors to indoors to mixes to architecture to moving objects to single photos to people photos and everything in between. Complete HDR Tutorial – Countless Techniques Explored – There are over 10 hours of detailed video instruction in the course! In the first hour, you’ll know all the basics, and beyond that, you’ll learn an amazing collection of new tricks, workflow, and post-processing techniques that will give your photos a great and unique look. Excellent for any skill level, from beginner to advanced. Becoming an Artist – The 15 episodes touch upon topics such as composition, color, light and inspiration. This series will not only show you lots of photography tips & tricks but will inspire you to take your art in bold, new, and interesting directions. Trey Ratcliff’s Lightroom Tutorial for Beginners and Beyond – Lightroom is awesome and fun! It’s hard for me to think of a program that I enjoy using more than Lightroom! Not only is it great for organizing your photos, but you can do incredible things to make your photos look amaze-maze! You’ll see how I organize and edit photos in Lightroom, from Alpha to Omega. Everything is in HD and it’s ideal for any skill level. Organize Your Photos: The Three Level System – Looking to organize your photos? Then this video and eBook will help you get your digital life organized! This is a problem for me too. I have tens of thousands of photos. Since digital photos are a major issue, I’ve worked hard to come up with a system that works for me. I’m happy to share this system with you. Landscape & Travel Photography Tutorial: New Zealand – this online photography course includes over four hours of step-by-step instruction. 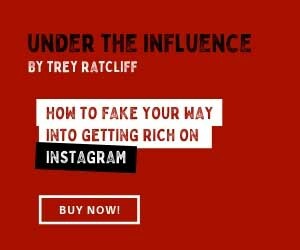 You will see how Trey sets up his camera to take photos, how he composes the shot, and how he performs HDR processing plus hundreds of other little tricks to make your photos look prettier. Textures Tutorial v2.0 – learn Trey’s tricks to using textures to give your photos a unique look. Here’s a few of my favorite photos I’ve taken with all the stuff I listed above!